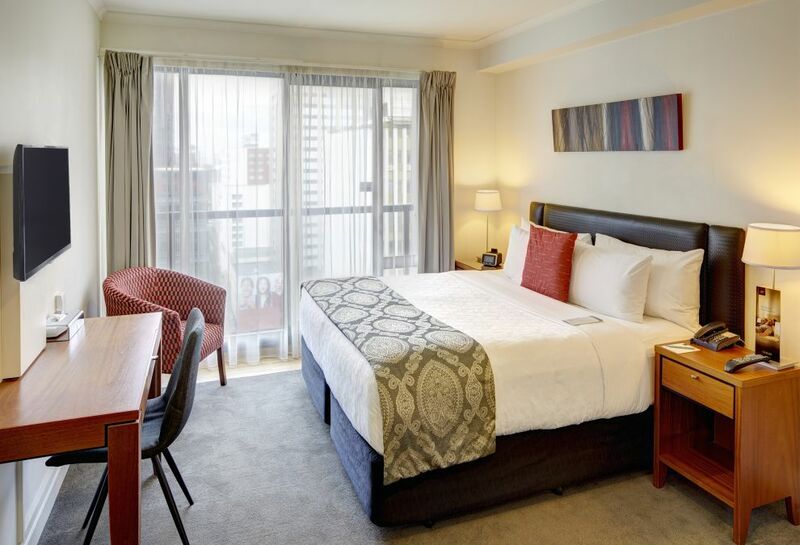 Stylish rooms set in the heart of Queen Street, Auckland's business, shopping and entertainment heart, offering the perfect city centre base for travellers who want to be just yards from the action. 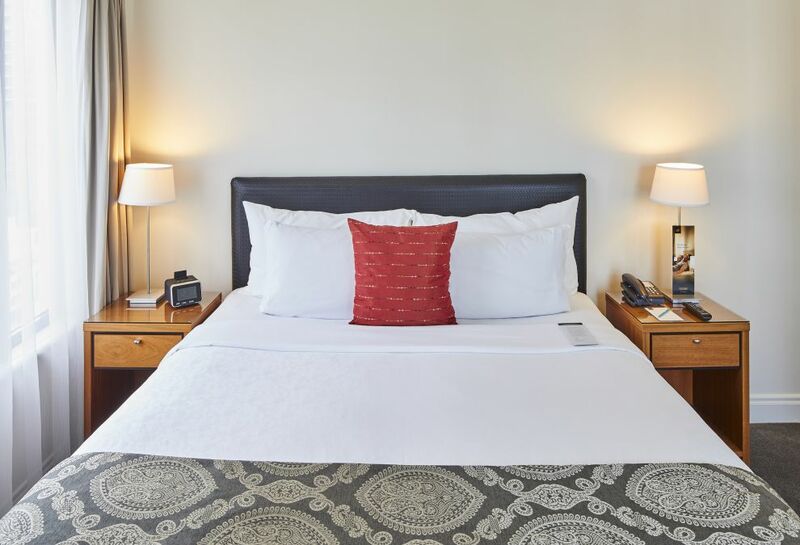 Ideal for couples seeking independence or self-catering, spacious suites including open-plan lounge and dining area off the kitchenette plus laundry facilities. Kitchen includes dishwasher, microwave and oven, and a full complement of kitchenware and glassware. Whether travelling on business or pleasure, the 54 square metre Executive One Bedroom Suite is your home away from home, offering fully self-contained apartment accommodation. 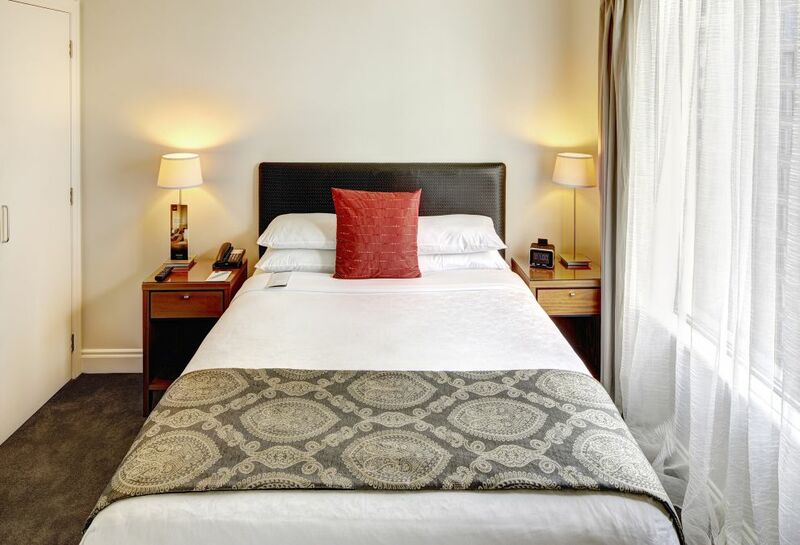 Large apartment-style suites ideal for couples wanting a full range of in-room facilities plus even more space. 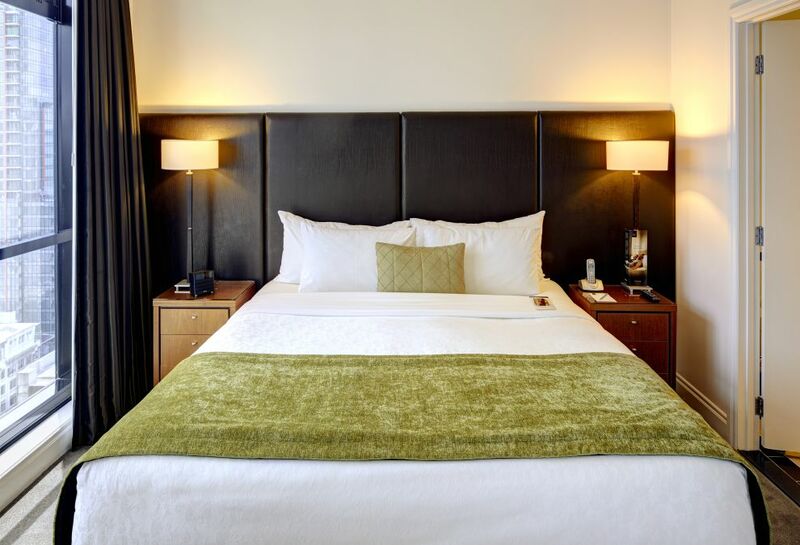 Space, style and services for families or groups in a spacious apartment-style setting in the heart of the city. 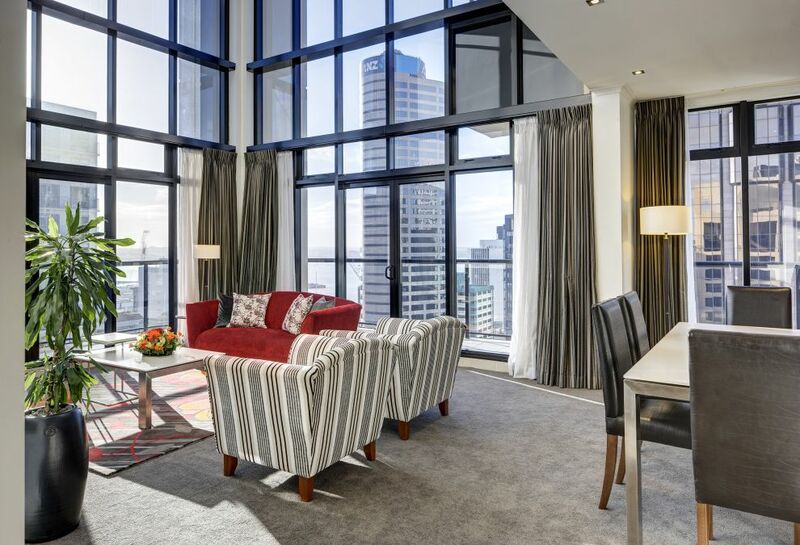 Whether travelling with friends or family, the 78 square metre Executive 2 Bedroom Suite is the perfect choice offering spacious fully self-contained apartment accommodation. Full independent living right on Queen Street. 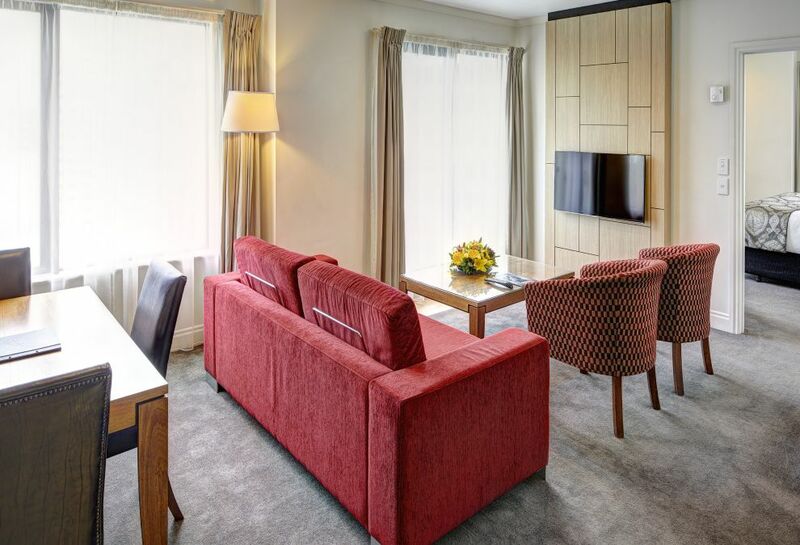 For larger groups, or travelling with extended family and friends, the 123 square metre Executive Three Bedroom Suite is the ideal choice, offering spacious fully self-contained apartment accommodation. The ultimate in space and services for families or groups, this is the 115 square metre Directors Suite. All the amenities and facilities of home coupled with the comfort and style of a luxury hotel and ideal for private business meetings or small cocktail functions. The ultimate in space and services for families or groups, this is the luxurious Penthouse Suite.